Today we are interviewing Calisa Rhose, Romance author. Calisa: What a treat to be here Alexis! Thanks for the opportunity to talk about my debut release, HOME. Alexis: You have a lot of stories in the works. What subgenre of romance do you feel most at home in? Calisa: I do. Between contemporary cowboys, firemen and my paranormal series I stay busy. And then, of course, there’s my one-time vintage historical, HOME. But I am probably most comfortable writing contemporary. Paranormal is relatively new for me but I’m having a blast figuring it all out. Alexis: Hmm, so HOME is your one-time vintage historical. Now, I'm curious. Can you tell our readers a little bit about your new release, HOME? Calisa: I wrote HOME as part of a series Tales of the Scrimshaw Doll. In sequence my book would come in around the fifth book I think, but it was the first release in the series so they are not coming out chronologically. My story is about a Vietnam veteran and a gypsy who have nothing more in common than growing up in the same town. When Sam returns from his stint in the war it seems the town who idolized him as their football hero before the war not has turned its back on him. Only Poppy steps up and accepts him home with open arms and love grows between the unlikely couple. Poppy has her own stigmas just being a gypsy in a time when her ‘kind’ are frowned upon and Sam realizes they aren’t as different as he’d always thought. Alexis: Interesting premise. Where did you get the idea for this story? Calisa: I honestly don’t know. I don’t write historical. Though I grew up as a little girl in the 60’s, I don’t remember much so when these two came to me asking that their story be told I was kind of surprised. But I had so much fun writing HOME. Alexis: Ah, then it must have been fate :-) What are your favorite character traits of Poppy and Sam? Calisa: I love Poppy Tippen’s seeming unflappable nature. She’s been through a lot as an outcast, but she doesn’t give up on her secret love for the town hero. I learned to respect Sam Callahan for his ability to accept who the war made him and to fight to overcome the dark that threatens to rule his life. In the end they both become a strong force of support for one another and that’s important in any relationship, in any era. Alexis: So, what made you choose this particular era? Calisa: Again, I don’t think I chose it so much as it chose me. Alexis: I love that! It's a story that needs to be told. What can we expect next from you? Do you have any new releases coming or a work in progress? Calisa: Nothing up for release just yet. Life kind of got in the way since HOME sold and I haven’t been able to write as much. But I do have a couple of things in the works. When TWRP put out a call for cowboys for the Honkytonk series I jumped at the chance to write what I love most. I’m writing a story that I hope will be contracted for this series. It's called CHAMPAGNE TIGER. Kelly Donovan is running from an abusive husband who wants her dead and hides behind the law enforcement he works for to avoid prosecution. 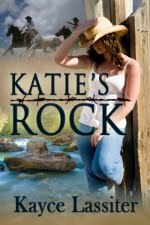 Mace Dalton is a small town sheriff who rescues a stranded stranger and realizes how easy she is to fall in love with. 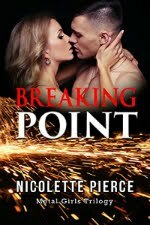 When Kelly discovers Mace is the same type of man (lawman) she’s running from she has to make a choice. Trust the law that has always betrayed her and let Mace save her, or keep running and take her chances that her husband will eventually be stopped. There’s a little twist that I won’t spoil for readers. Alexis: CHAMPAGNE TIGER sounds promising. I wish you luck with it :-) Thank you so much for sharing your romances with us. It's a pleasure having you visit. Calisa: Thank you! I’ve had a wonderful time today. Alexis: Check out this excerpt from HOME. You can get your copy of HOME at The Wild Rose Press and Amazon and B&N. Small-town country girl Calisa Rhose lives in a semi-remote area of Oklahoma with her husband, four small dogs, one cat and a horse. All three of her daughters and their families live within throwing distance. She’s a member of RWA and the local chapter OKRWA. She intends to nurture and continue to grow as an author with the help of her family and supporters. WOOO! Great to be here finally Ladies! Thanks for the great questions, Alexis. Now *rubs hands together* who wants a book? Hi Calisa! Just stopped by to say hello. No need to include me in the contest. I've already bought my copy, and I loved it. Can't wait for your next. Hi Gale! I know you have. I loved your review! Thanks girl. Hi Calisa, HOME sounds great. Also a child of the 60's I can relate to the characters. Everytime I hear about the Scrimshaw Doll series I am more intrigued. I love how the idea came about as well. What a great way to showcase the talented writers in Oklahoma. Hi Calisa *waves madly*. Great interview and site, ladies. I have my copy of HOME already, but wanted to comment on what a great story Calisa has written. I can't wait to read more from her. Hi Sharon. I hope many people will relate to HOME. It makes me feel very good to hear you did! Thanks you. It's so nice to see you here Debra! Thank you. I hope you read them and enjoy. Aw Thanks Tina! It's great seeing you here! I love the era you chose to write about. Sounds strange that the 60's are in the fifty-years-ago category now. How do you feel you've been able to capture the spirit of a Vietnam vet and a gypsy? Do you know people who you've modeled the characters after? You've chosen very rich personalities and I bet the story is fabulous! Hi Dawn. It is strange especially when I hear myself saying things like "when I was a kid" and I know that was nearly 50 years ago! I think the way I captured the Vietnam era was in Sam's flashbacks to the war and the music Poppy loved. I saw it in the simple small town feel I tried to portray and the mannerisms of the characters. Thanks for having me here! Sounds great! I wish you many readers! I think it is. lol Thank you! A damaged hero tugs at my heart. Being a teen in the early 70's, I can relate to the Vietnam era and the sad way we treated our vets. Nice to see you here Sandy. Thanks so much for coming by. I don't need to be entered as I've already read Home, which is a wonderful story. And the Vietnam era is so poignant in itself. I agree Diana. I had to be careful when writing it because I feel Vietnam is a sensitive subject. Thanks for being here. I'm proud to be a part of the series, Brenda. Thanks for your staunch support! Ah. It's easy to support someone so nice and talented. Thank you for the kind comments on the loop. Don't enter me, honey. Save it for someone who's never read your stuff. You KNOW I like your work. You have great imagery in story-telling, which is something instinctive, I think. Loved the excerpt!! Very proud of you! It is such an honor and a pleasure to hear you say such nice words Sharon! Thank you! I'm glad you loved the excerpt! Great interview, Calisa. I'm so excited for you and HOME. The Scrimshaw Doll project has been so much fun. Thanks for jumping in there and being our 'launch' story. :-) I also don't need to be in the drawing, as you know, since I own the story. Best of luck! Another great interview, Calisa. Can't wait to read the cowboy story! My cps will absolutely be first, Ally. Lucky you. :) Thanks for stopping by another post! You're awesome! Once again, you have done a marvelous job. Great seeing you here Liberty. Thank you doll! Home sounds like a wonderful book! As for your Honky Tonk Hearts story, I'm cheering for you. I have one in the series out in April. Best of luck with all your projects! I think Home is a deeply moving story, at least, that's how I intended it. lol Good luck with your honky Tonk Hearts book too! If I sell I'll be in lot's of good company! Congratulations, Ally!!!!!!!!!!!!!!!!!!! You won the copy of HOME!!! !